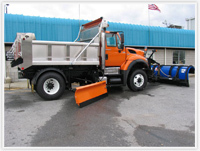 Monroe distributes Pickup Truck Accessories and Truck Equipment, in addition to manufacturing a complete line of Snow & Ice Control Equipment. 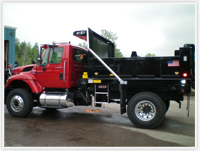 Schmidt Engineering & Equipment features the Wausau lines of Commercial, Municipal, City Street and Airport plows. TARCO® brand name products are fabricated, assembled and tested at Fort Miller FAB3 Corp, a diversified metal fabricator. All fabricated parts and subassemblies are made in America using primarily sourced U.S.A made components. 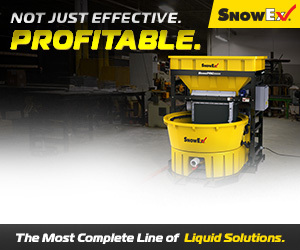 The SnowEx Brine Pro™ 2000 brine maker simplifies production with user-friendly operation, automatic salinity control and easy no-splash salt refilling. It removes all guesswork from the process, helping municipalities and contractors confidently take brine making into their own hands. Plus, the system is compatible with low-flow water input and 220VAC electrical sources that are available in most shops. Snogo has been keeping streets, highways and airports open for nine decades.Snogo is the leading brand of loader-mounted snow blowers in the United States and has developed a reputation for unbeatable performance and reliability. Snogo loader-mounted snow blowers come in four models with horsepower from 150 to 415, including the two-stage auger WK, MP and MP318, and the two-stage ribbon LR44. 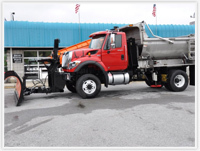 Snogo also offers two truck-mounted versions, the TU-3 (auger) and the TR44 (ribbon).